I've been doing .NET image processing since the beginning. In fact I wrote about it over 13 years ago on this blog when I talked about Compositing two images into one from the ASP.NET Server Side and in it I used System.Drawing to do the work. For over a decade folks using System.Drawing were just using it as a thin wrapper over GDI (Graphics Device Interface) which were very old Win32 (Windows) unmanaged drawing APIs. We use them because they work fine. .NET Conf: Join us this week! September 12-14, 2018 for .NET Conf! It's a FREE, 3 day virtual developer event co-organized by the .NET Community and Microsoft. Watch all the sessions here. Join a virtual attendee party after the last session ends on Day 1 where you can win prizes! Check out the schedule here and attend a local event in your area organized by .NET community influencers all over the world. For a while there was a package called CoreCompat.System.Drawing that was a .NET Core port of a Mono version of System.Drawing. However, since then Microsoft has released System.Drawing.Common to provide access to GDI+ graphics functionality cross-platform. There is a lot of existing code - mine included - that makes assumptions that .NET would only ever run on Windows. Using System.Drawing was one of those things. The "Windows Compatibility Pack" is a package meant for developers that need to port existing .NET Framework code to .NET Core. Some of the APIs remain Windows only but others will allow you to take existing code and make it cross-platform with a minimum of trouble. There's lots of great options for image processing on .NET Core now! It's important to understand that this System.Drawing layer is great for existing System.Drawing code, but you probably shouldn't write NEW image management code with it. Instead, consider one of the great other open source options. Compared to System.Drawing ImageSharp has been able to develop something much more flexible, easier to code against, and much, much less prone to memory leaks. Gone are system-wide process-locks; ImageSharp images are thread-safe and fully supported in web environments. It's awesome that there are so many choices with .NET Core now! You know what new programmers always ask me? They ask "is there a guide that tells us how to create a simple GUI 'Hello World!' app in .NET Core, from the start to the creation of gold master disk?" I myself never read such a guide. I have experiences developing in C# with .NET Framework and, before that, developing in Delphi, so I can put 2 and 2 together to get 4. But not them. Brilliant - I guess this is for .NET Core 3 path for including UI bits but lower level stuff is available for current releases. We used ImageSharp in our project, even when its beta now. It seems to be promising. Been following your posts about .Net Core. Good stuff. I've always wondered about the warning that warning that classes in System.Drawing shouldn't be used within services, included ASP.NET ones. Do developers just do it anyway? I'm definitely more a fan of the ImageSharp approach, keeping everything in managed code. No need for system library dependencies! I wouldn't want the hassle of having to maintain my own Docker image with the system libraries installed. 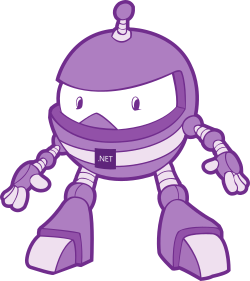 I'd rather just base my own services' images off something official like "dotnet:2.2-aspnetcore-runtime". Image files, and by the way video and audio media files, have been largely ignored by .net with only minimal support for identifying the file, its codec parameters, its size, duration, bit rate, bits per pixel, chroma format, EXIF information, frames per second, etc. .NET needs fully managed image file handling and codecs at some point now or in the future to right the mess of wrapped 20 year old win32 codecs. We're getting very close to releasing an RC1 now with only a few open issues to fix before we can. The team (Scott Williams, Anton Firsov, Dirk Lemstra, and myself) are very proud of what we've built so far and are confident that we have provided something that can democratize image processing and really help developers to get their work done with little stress. To answer a few things I saw in the comments. Brian, yes developers still do it anyway and I'm guilty of helping out having previously built the ImageProcessor libraries. The warning is well founded though as you can potentially lock up the entire server if something goes wrong. I must say though, none of this is trivial, Image decoders have to be incredibly robust in order to handle the mistakes of encoders from the past and juggling performance with flexibility is always a challenge. Dirk Lemstra is the developer for both ImageSharp and Magick.NET. Which library is recommended for high performance website (say if we are building a website similar to Imgur)? @Brian Kowald the System.Drawing issue in ASP.NET has caught me out in the past - I was getting out of memory exceptions when I tried to resize a small image. I had to rewrite some of my code to get around it.